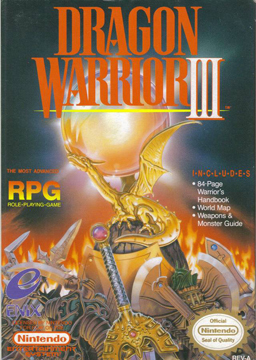 Dragon Warrior III was released in North America as Dragon Quest III: The Seeds of Salvation. Although it follows the same story as the first two games, it is chronologically the first in the series. In these games, the player acts as “the Hero” and attempts to save the world from Baramos, a fiend bent on destroying the world.